To fight and win in a chaotic, ambiguous, and complex environment, the military trains to provide forces ready to conduct unified land operations. The military does this by conducting tough, realistic, and challenging training. Unit and individual training occurs all the time—at home station, at combat training centers, and while deployed. Military forces face threats that will manifest themselves in combinations of conventional and irregular forces, including insurgents, terrorists, and criminals. Some threats will have access to sophisticated technologies such as night vision systems, unmanned systems (aerial and ground), and weapons of mass destruction. Some threats will merge cyberspace and electronic warfare capabilities to operate from disparate locations. Additionally, they may hide among the people or in complex terrain to thwart the Army’s conventional combat overmatch. Adding to this complexity is continued urbanization and the threat’s access to social media. This complex environment will therefore require future Soldiers to train to perform at the highest levels possible. Training is the most important thing the military does to prepare for operations. Training is the cornerstone of readiness. Readiness determines our Nation’s ability to fight and win in a complex global environment. To achieve a high degree of readiness, the military trains in the most efficient and effective manner possible. Realistic training with limited time and resources demands that commanders focus their unit training efforts to maximize training proficiency. Effective training is the cornerstone of operational success. Through training and leader development, Soldiers, leaders, and units achieve the tactical and technical competence that builds confidence and allows them to conduct successful operations across the continuum of conflict. Achieving this competence requires specific, dedicated training on offensive, defensive, and stability or defense support of civil authorities tasks. Training continues in deployed units to sustain skills and to adapt to changes in an operational environment. U.S. responsibilities are global; therefore, forces prepare to operate in any environment. Military training develops confident, competent, and agile leaders and units. 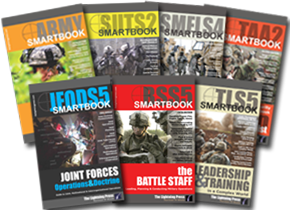 Commanders focus their training time and other resources on tasks linked to their mission. Because forces face diverse threats and mission requirements, commanders adjust their training priorities based on a likely operational environment. As units prepare for deployment, commanders adapt training priorities to address tasks required by actual or anticipated operations.